I got a lot of good advice while I was a post-bacc student. Some of it took a while to settle in, either because I needed to overcome some initial resistance in order to see its truth, or because I couldn’t grasp what had been offered without hindsight to help me. Some if it hit me immediately and changed how I saw things. An example of the latter is something my friend Erin said to me one day over coffee. I’d just wrapped up an exam for a class, and I was excitedly telling her about how I intended to use the little break I had before my next big test: scrambling to get ahead in my classes, memorizing and studying as far ahead of the next exam as possible. Erin, who by then had completed her first year of medical school, paused. Erin’s words hit home. For two years, I’d been trapped in a pattern of thinking I had to use every lull in my coursework to get ahead. It was, I realized, a lose-lose scenario: trying to study that far in advance of a test wasn’t particularly effective, since I tend not to retain information I’ve memorized weeks before an exam. And doing so cost me the few, precious pockets of free time I had in those days. My post-bacc made me feel helpless: it was the first time in my life when effort and discipline seemed to get me nowhere. Instead of accepting that I could only do and accomplish so much—the rest was going to be a matter of letting the chips fall where they may—I fought desperately to obtain a sense of mastery. Listening to Erin, I realized that my need to use every spare moment as an opportunity to fight against inevitable academic struggle was keeping me prisoner. At the time, I was still planning to go to medical school, and it dawned on me that if I kept up with this pattern of behavior it might well be a decade before I allowed myself to feel free—a grim prospect. I can’t say that I changed my tune overnight, but I did loosen up after that conversation. I stopped trying to get ahead frantically, and it was a turning point in my life as a pre-med. It’s the moment when I started cultivating friendships with my peers in earnest, began exploring and getting to know Washington, D.C., and when I accepted, however begrudgingly, the fact that I could only do my best. Needless to say, my academic performance didn’t suffer because I was recharging between tests. If anything, I found my (wobbly) sea legs as a student. On August 1st, just a few days ago, I started encircling myself with rules and regulations about how I’ll spend these last four weeks before my DI starts. I’d devote a certain number of hours per day getting ahead on study guides, tighten my schedule in various ways to prepare myself for more rigid working hours, and start reviewing various reference manuals in order to be primed for clinical environments. None of these efforts would be impractical. But they’re more than a little reminiscent of my time as a tense, worried post-bacc student who awarded far too much power to self-discipline. Instead of winnowing away my pleasure and spare time, I’m using Erin’s advice to guide me. I don’t need to drain the sweetness out of August in order to ready myself for a different kind of hard work; the work will challenge me whether I deprive myself needlessly now or not. I’ll make time and space for the preparations I need to do, while also continuing to savor summer in New York, as I have been. I’ll take care of my study guides and see friends; review some of my old medical nutrition therapy notes and take ambling afternoon walks; get my paperwork together and indulge in a couple of committed TV binges. There may come a time when I have to sacrifice most of my personal time for the DI, but that time isn’t now. Even once it starts, I hope I can treat the internship the way I ultimately learned to treat my post-bacc: doing the best I can and letting go of the rest. Allowing things to be easy when they can be and drawing on whatever inner resources I’ve got when they can’t be. Not wasting moments of rest because I’m primed for the next struggle; not tensing up against the experience more than I need to. Wishing you all a full experience of this last official month of that summer—whatever that means to you. 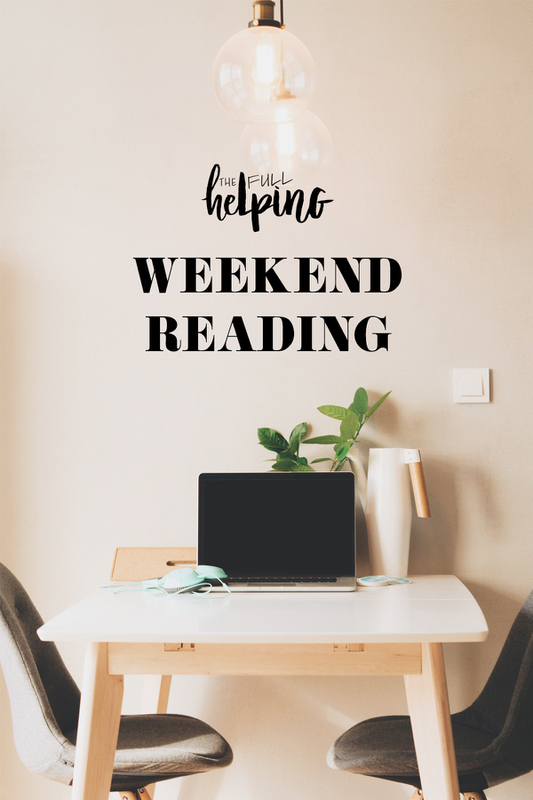 Here are the recipes and reads I’ve been peeking at this week. A light, beautiful breakfast: blueberry chia pudding with salted seed brittle. Calling all comfort food lovers! 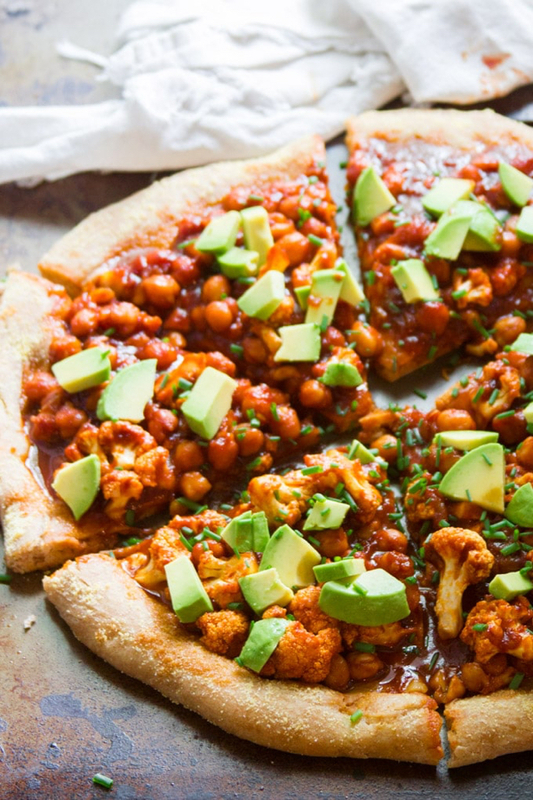 I’m drooling over Alissa’s barbecue chickpea cauliflower pizza. 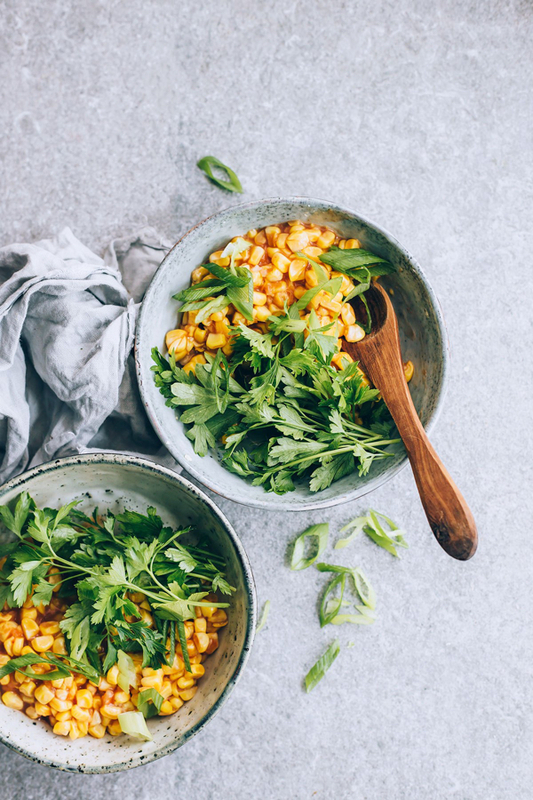 A perfect, vegan summer side: coconut milk corn. 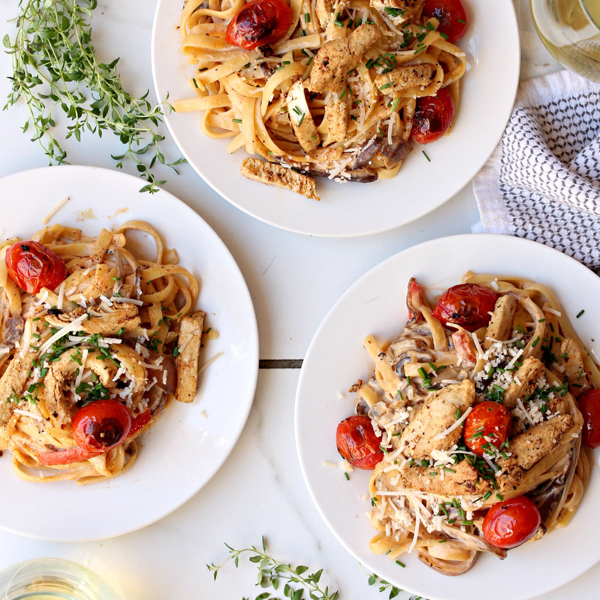 I love an untraditional pasta, and this vegan cajun pasta looks so flavorful. I made a batch of crumble yesterday and immediately regretted turning the oven on. 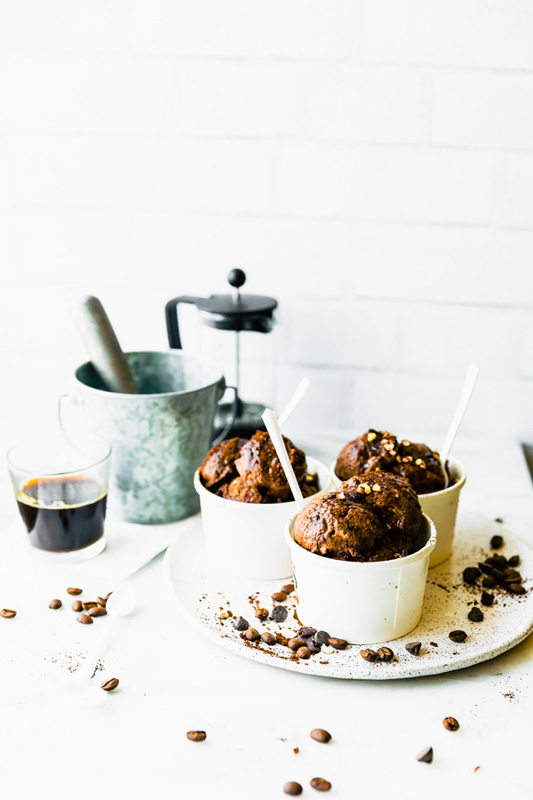 Lindsay’s espresso dark chocolate sorbet is a much better option for this coming week. 1. An interesting perspective on how doctors may be taking too lax an approach to bone health and osteoporosis screening. 2. Screening is available for teen depression, but securing quality treatment and care may be much more complex. An important article from the Washington Post takes a closer look at the impact of limited psychological care options on teens and their families. 3. As a dietetics student, I spent plenty of time learning the signs, symptoms, and screening tools for malnutrition and wasting. Still, malnourishment often slips through the cracks in clinical settings, and it’s contributing to mortality and extended hospital stays. But despite best intentions, that same flavor of media coverage piles up to paint a picture of what it’s like to be a woman in science that is both jarring and, in my experience, does not really reflect the complete reality. That’s because these pieces frequently ignore the change-makers working to fix a broken system. They perpetuate a narrative that paints women as passive victims, rather than people who are wise to science’s systemic inequities and advocate for change from a well of evidence and lived experience. Spotlighting injustice while ignoring the solutions we put forward erases our agency. 5. In the face of climate change, an environmental scientist examines what will happen to the world’s largest penguin colony. The article gave me faith in the penguins’ resilience. 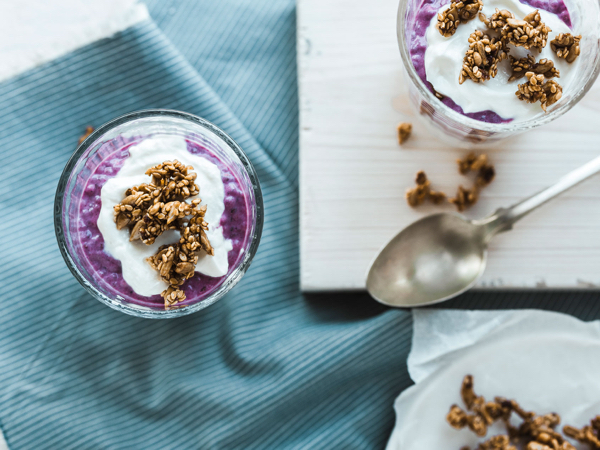 Tomorrow I’m sharing one of my favorite summer breakfasts from Power Plates (spoiler alert: it’s almost dessert-worthy!). Till soon, take good care. Why didn’t I think of roasted cauliflower and chickpeas on top of pizza dough? As soon as it stops being so hot and I can turn my oven on, I am going to give this a try. I read the article about malnutrition in hospitals. I wish the article would have stated why that first patient was on a limited diet. That would have helped my understanding. It feels like there are so many gaps in medical care. And it feels like doctors and nurses don’t always have the time or training to deal with this aspect of care. We ask so much of our health care providers already. I have to guess to, that some people enter the hospital undernourished to begin with. The hospital could be a chance to improve, not to go downhill. I liked your statement above about the work you will face soon. It will be challenging regardless of what you do to prepare for it. It might seem like a fatalistic way of thinking to some but for me, it seems very practical and freeing. It’s when something is unknown that we worry the most about how to prepare, what to do, etc. I hope you enjoy the remainder of your free time just as you want to. Thanks for another great post. I think you’ll find the DI to be totally manageable compared to the post-bacc. But I can totally relate to your introduction; I used to go go go all the time – maximizing every moment to learn or get ahead. And then in graduate school, I just…couldn’t. I’d moved to another state and was dealing with a lot of emotions about that and a chronic health problem and I just decided to go to bed instead of staying up, or hang out with my friends on Friday night. And it served me SO well. I have learned that I am so much more productive when I give myself time to rest – although it’s still difficult to remember and I have to remind myself regularly. Also, the malnutrition article is spot on. I work clinically now, and we consistently diagnose people with malnutrition but it never makes it into the medical record. Also, sometimes patients are just…not safe to feed for an extended period of time and there is only so much you can do. But overall, I would say doctors and dietitians both drop the ball sometimes on creating effective intervention strategies AND it can also just be really difficult when people don’t like hospital food, don’t like oral nutrition supplements, and generally feel like garbage and don’t want to eat. But the outcomes are SO much better with good nutrition status so it’s so important! 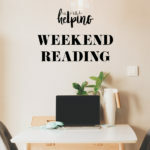 Your Weekend Reading comments and two of the articles (that I’ve read so far!) have really resounded with me. First, I am a doctor. In college as a premed student majoring in Chemistry and Spanish I was constantly studying. I rarely gave myself weekends off or nights of watching TV with other girls in my dorm. Thankfully, I quickly learned that this kind of discipline was untenable in med school. Instead, I learned to go out dancing with my friends on “Salsa Night” and enjoy the after test parties. Erin is absolutely right, achieving a medical career requires jumping over hurdle after endless hurdle. Secondly, the malnutrition article really struck a note with me both from a personal as well as professional level. I am a recovering anorexic (I’m 47 years old), a few years back I developed such horrible cervical spine disease that I was nearly paralyzed. This was due to my excessive running and poor nutrition with the anorexia. I had to have 2 urgent surgeries to try to correct the spinal disease. While hospitalized, I was about 100 lbs (I’m 5′ 7”). The only reference to my diet ever made by my doctors was “You need to eat”. By the time I left the hospital a week later I was down to 90 lbs partly because I had such difficulty swallowing after the surgery. Thankfully I am recovering now well but I certainly would agree that the lack of attention paid to nutrition in non-conventional malnourished patients is striking. Lastly, osteoporosis. The reimbursement issue for bone scanning caused me to feel so helpless in caring for certain patients. In addition, I too had to have a bone scan for a stress fracture after my surgery (not related to running) and I had to pay out of my own pocket. As an HIV physician, bone scanning was an integral part of appropriate care for certain patients taking HIV medications that can affect bone metabolism but sadly was almost never covered due to minimum age cut-offs. It’s also important to point out that this lack of osteoporosis screening is even more important in the rapidly growing US population of obese patients.